After enjoying an industry average growth of 6.9 per cent last year, Russia’s only low-cost carrier (LCC) is expecting to carry in excess of seven million passengers in 2018, an impressive 50 per cent year-on-year expansion. The airline, which is part of Aeroflot Group, served its five millionth passenger on September 28 this year and, commenting on the achievement, Aeroflot’s general director Vitaliy Saveliev, who also serves as chairman of Pobeda’s board of directors, observes that the low-cost project has proven successful and game changing for the market. “On the routes, where Pobeda marks its presence, fares go down,” he notes. 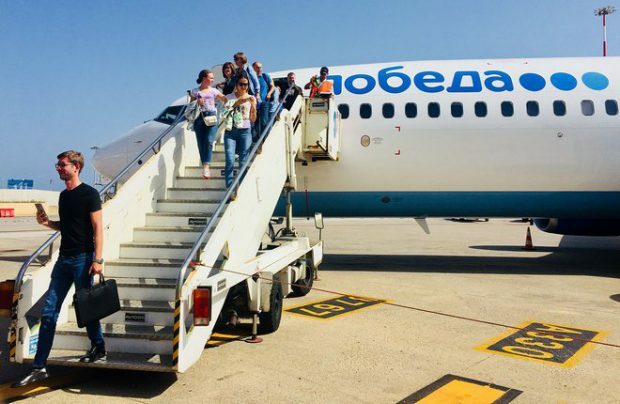 Pobeda Airlines was launched in 2014 with the objective to generate new traffic flows by offering affordable ticket prices, starting from as little as 500 roubles (US$8), although less than six per cent of tickets are available at the price. After the first two years of operations the airline estimates that more than a million of its passengers were first time air travellers. It also concentrated on expanding its reach by consistently adding new routes, both domestically and outside Russia. More than one third of its routes are unrivalled, the airline points out. Last year the low-cost carrier served some 4.6 million passengers, up 6.9 per cent year-on-year. Its seat load factor stood at 94.2 per cent (up 5.9 p.p.). The growth rate slowed significantly from 38.7 per cent achieved in 2016, but it is projected to hit 50 per cent this year due to an aggressive network and fleet expansion policy. The seat load factor is currently close to full capacity on most of its flights, the airline says. Pobeda has also recently announced plans to more than double the number of flights it operates from Russian regional cities in the winter season of 2018-2019 and expand the range of such services from 2,800 flights in the last season to 6,200 in the coming one. The LCC is supporting its expansion by adding extra capacity. At this point last year it operated 12 Boeing 737-800 aircraft, whereas now it flies 21 such jets and has plans to bring in three more by the end of this year, followed by a further six of the type throughout 2019. In the autumn of next year, Pobeda may start taking the first deliveries of the batch of 30 re-engined Boeing 737MAX aircraft it reportedly has on order.